Meet Officer Odin! How cute is this little guy! 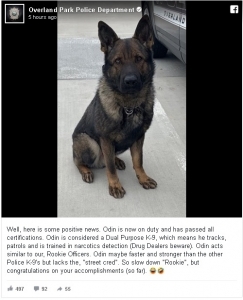 He’s even officially on duty now as the newest K9 officer with the Overland Park Police Department!